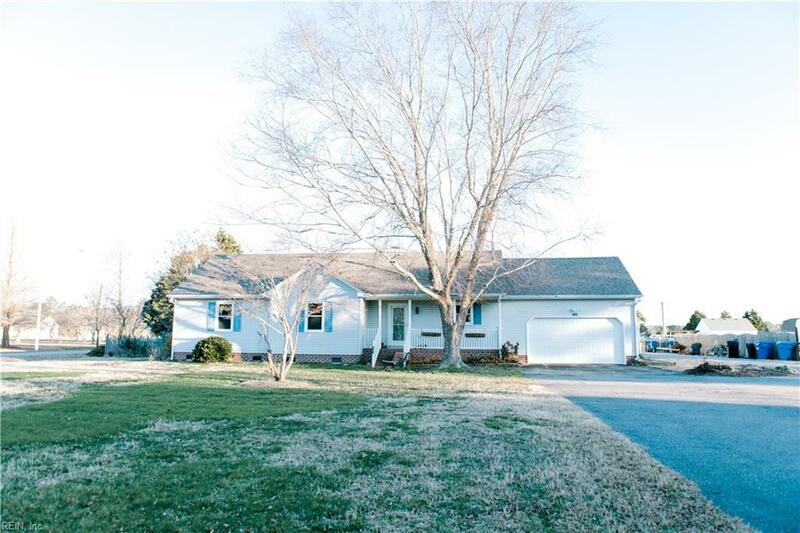 1656 Nanneys Creek Rd, Virginia Beach, VA 23457 (#10238643) :: Abbitt Realty Co.
A taste of country living right outside of the city! Beautiful ranch style home with an in-ground pool and two garages. One, of which is perfect for a workshop or home gym. Newer updates include HVAC, windows, and kitchen that has ss appliances and granite countertops. Home features a wood burning fireplace in the center of the house that heats throughout, and separates both living areas for a touch of privacy, while maintaining the open concept. The second area of fencing is set up for raising chickens, and a garden perfect for harvesting your own veggies. Other notable features include awnings off the back porch, invisible fence for pets, and a security system. Enjoy all of this on just over an acre of land!